Is this the Shackleford one you were talking about? So even with a 93ft (what is that, around 16 lengths?) head start they couldn't beat him. Absolute lunacy. Cheers to Arrogate and all his connections and here's hoping he returns home safely and stays healthy for the BC! sweettalk wrote: i'd like to join the "understand, but don't agree/have reservations" club. good luck to him down there. McCraken will miss the Tampa Bay Derby with a strained ankle. His connections are hopeful that he can still make to Keeneland for the Bluegrass. 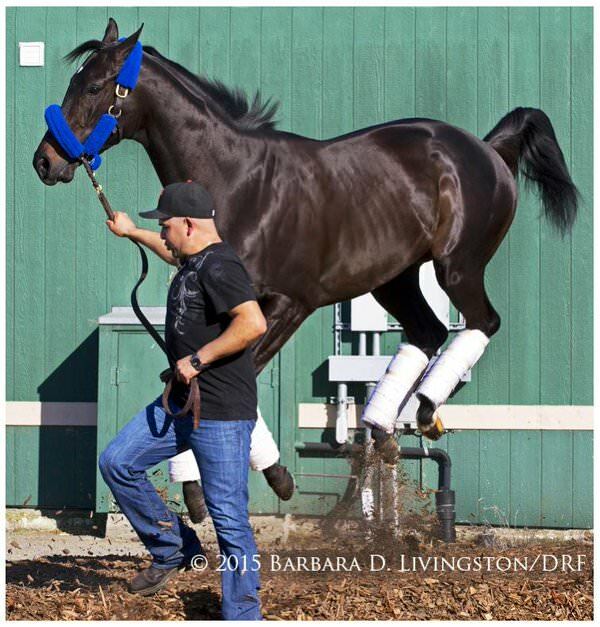 McCraken worked 4f at Palm Meadows Training Center on 2/24 in 49.60 (18th of 24). Iliad worked 4f at Santa Anita, also on 2/24, in 50.20 (41st of 58).